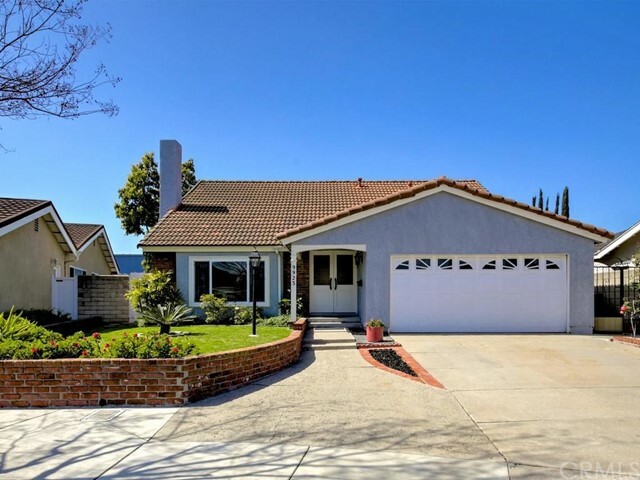 All Cypress homes currently listed for sale in Cypress as of 04/18/2019 are shown below. You can change the search criteria at any time by pressing the 'Change Search' button below. "This house is one of the most popular models in the Sorrento community. Sorrento is highly respected for its location, masterful design, and proximity to highly-regarded award-winning schools including Oxford Academy. 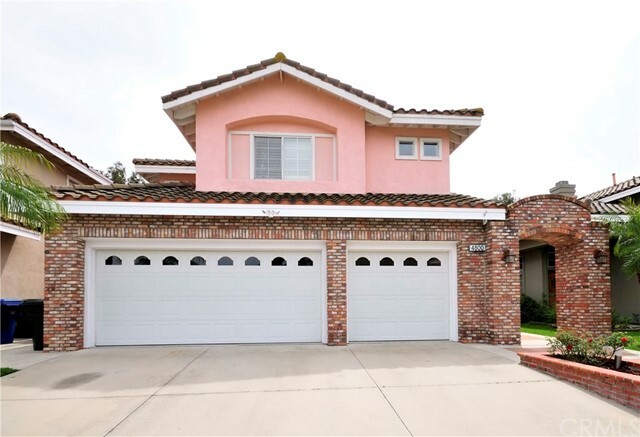 This particular home is placed at the end of the cul-de-sac and is located within close proximity to the park. This Collage model offers an open floor plan, which maximizes the usage of space, efficiency, and comfort; the space is optimized for storage which includes a walk-in pant"
"JM Peters Woodside home on a great cul-de-sac street! Largest model offering a dramatic entry with high ceilings, 4 bedrooms, 3 baths, and 3,174 sf of living space. Convenient bedroom & bathroom on the main level. Large open kitchen which has been recently upgraded with wood cabinets, granite counters, and stainless appliances including a Viking gas cook-top. There is a large counter-bar, breakfast nook, & a separate formal dining room for all of your entertaining needs. You will enjoy the natur"
"Totally remodeled with HIGH END materials for ready to move in . Home is located in beautiful neighborhood and close to Oxford Academy school. 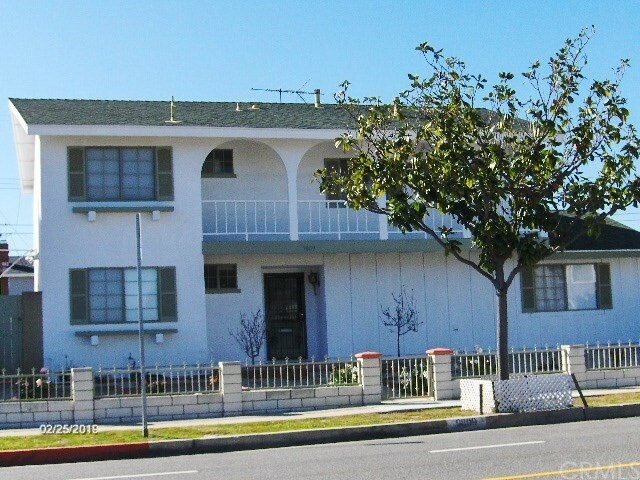 Property features: Three bedrooms two baths on first floor, two bedroom, a large loft and two baths on second floor. New 5 tons A/C units, Entry with Mahogany double door. All new windows sliding doors, exterior doors & interior doors. New high - end plastic flooring (100% water proof) thru of the house. New kitchen cabinets , quartz counter top & stainle"
"Don t Miss this Picture Perfect Mediterranean Hidden Jewel Nestled Amongst Million Dollar Estates in the Prestigious Sorrento Community in Cypress. A Classic Plan One Graced with an Elegant Entrance to Soaring Vaulted Ceilings in This Modern Free Flowing Floorplan. The Inviting Light Filled Living Room with Wall of Windows. Remodeled Gorgeous Gourmet Kitchen with Granite Counter Tops, Stainless Appliances, Garden View Windows, Wine Refrigerator and Walk in Pantry. Island Cook Top "
"Stunning 5-Bedroom Pool Home! 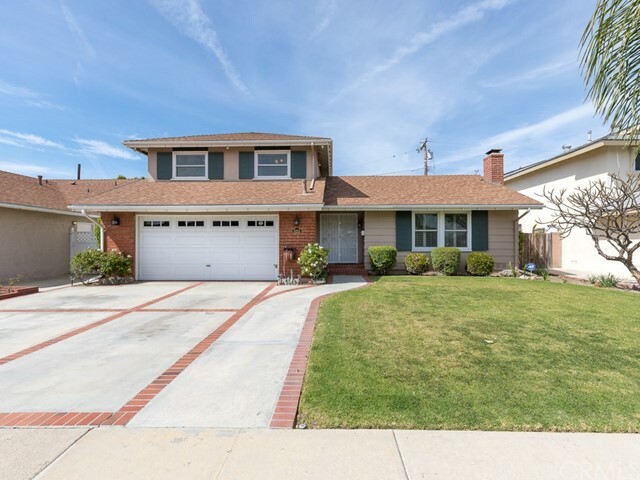 Located on a small cul-de-sac street in one of the most desirable areas of Cypress, this home features 5 bedrooms: 3 substantial-sized bedrooms downstairs that include the main-floor Master and two full bathrooms. There are 2 ample sized bedrooms with walk-in closets, upstairs. Great open concept style, lots of natural light and high vaulted ceilings. New designer wood tile floors tastefully enhance the beauty of all common areas, including the bedrooms. 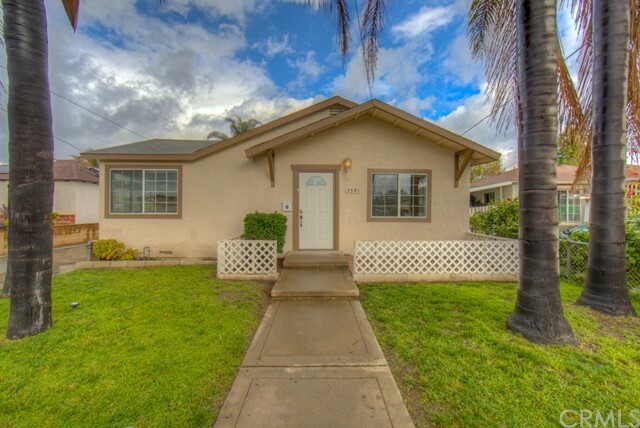 The open ki"
"Charming family home located in a wonderful neighborhood! This is a 4 bedroom 2 bath over 2700 sq. ft with a bonus room, large lot and a 3 car garage. 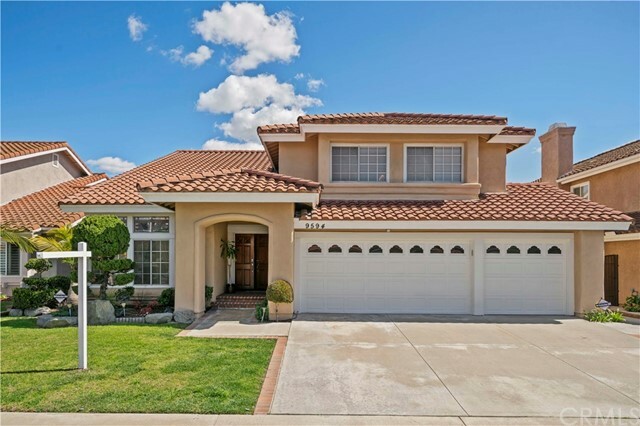 Welcoming curb appeal with a covered front patio and gated entry. Formal entry opens into the living and dining room with brick fireplace. The open family room and kitchen with large windows brings in the sunlight. 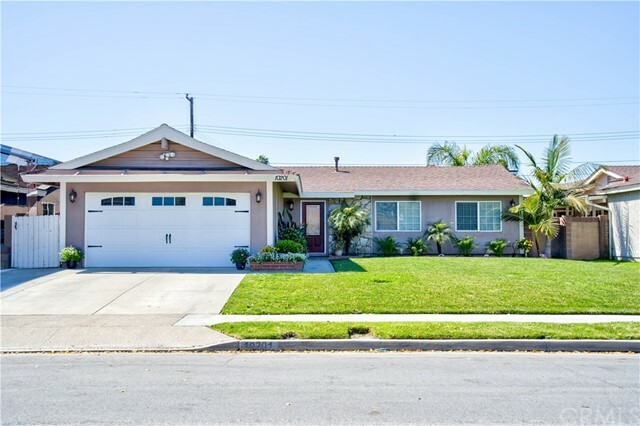 Tiled kitchen counter tops with a full backsplash, warm oak cabinets, stainless appliances, spacious eating area and plenty o"
"This beautiful 4 Bedroom 2.5 bathroom home is situated In The Heart Of Cypress! 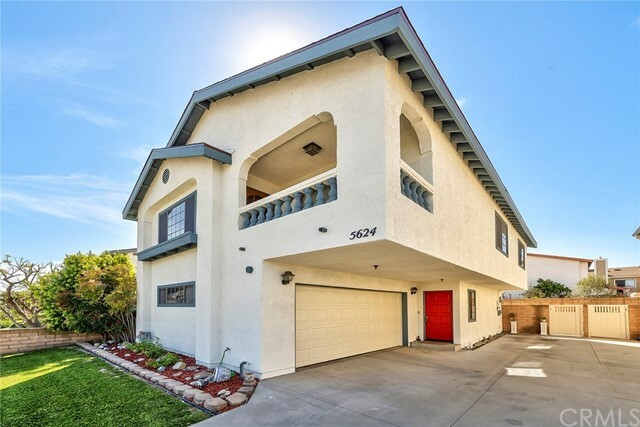 Conveniently close to parks, community center, shopping and some of the finest award winning schools orange county has to offer. This Home is perfect for entertaining! Upon entering you'll notice the great lighting and open living space created by the vaulted ceilings. The back half of the home features yet another family room that overlooks your spacious backyard with swimming pool! Other amenities include a 3 car a"
"Great West Cypress Location! 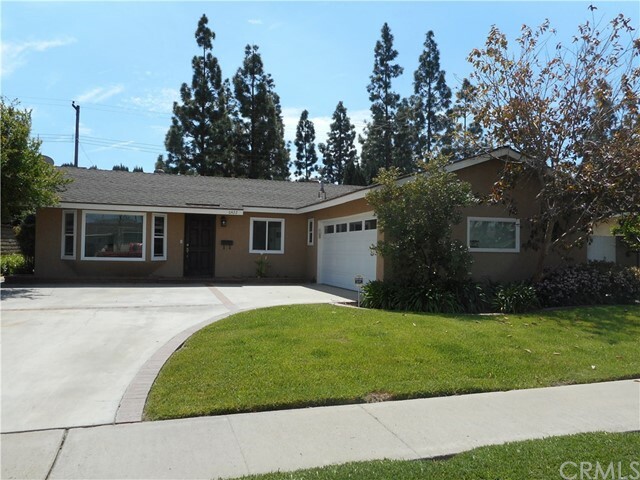 Beautiful Curb Appeal with Newer Dimensional Roof, Tropical Landscape and Newer Windows! Over $100,000 in Recent Improvements! Impressive Double Door Atrium Entry! Remodeled Guest Powder Room! Spacious Living Room with Hard Wood Flooring, Distinctive Wood Burning Fireplace, Recessed Lighting and Open View of the Gorgeous Backyard through Newer Dual Sliding Doors! Remodeled Gourmet Kitchen with Hard Wood Cabinets and Pantry, Breakfast Nook, Center Island and Corian Co"
"Welcome to your turnkey home! 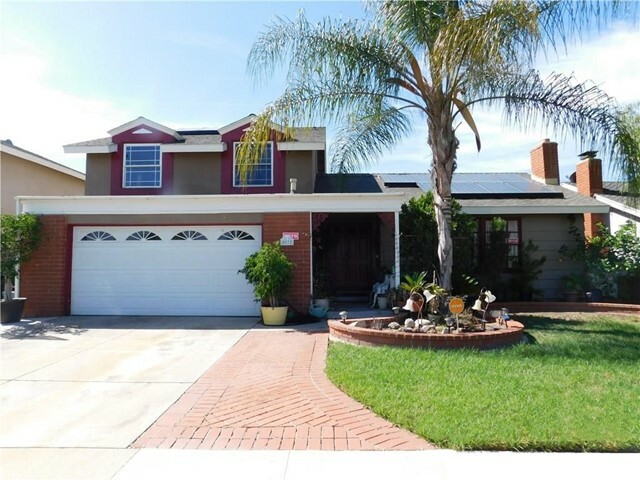 GREAT DEAL on this gorgeous one of kind home located in the City of Cypress, Orange County. 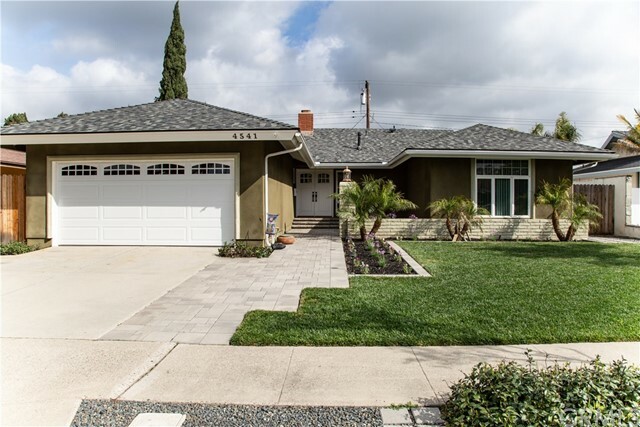 This 4 bedroom, 2 bath dual level home built in 1965 has been completely renovated including a new roof, making this a great value you simply cannot pass up. Perfect floor plan with 1,996 SF of living space, 2 bedrooms & 1 bath on the first level, and 2 bedrooms & 1 bath on second level. Ideal to accommodate extended family or two families living together. Ample fireplace in "
"nice house in good area. new kitchen, new windows and slide doors, new roof, new all bathroom, new paint in and out, new floor, new AC, come and discover the beauty." 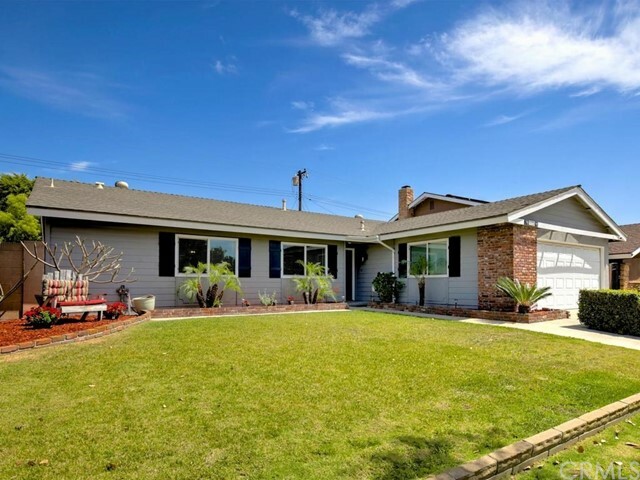 "This upgraded 4-bedroom home is located on a quiet street in Cypress. You will notice the beautiful hardwood floors and the dual pane windows with plantation shutters, as you walk through the front door. The spacious living room has a cast stone fireplace, recessed lighting, and is a wonderful space to host your friends and family. The kitchen features granite countertops, tiled floors, all newer stainless-steel appliances, a deep stainless-steel sink, and custom cabinetry. The master suite feat"
"PRICE REDUCED! Great home in a highly sought after Cypress neighborhood! Recently re-textured ceilings and interior paint. This 4BR / 2.5 bth features lots of space and excellent value. Upgrades include granite counters and tile flooring in the kitchen and the option of energy efficient solar power. Downstairs master bedroom and bath. Hardwood floors, two wood burning fireplaces... living room and family room. Interior laundry room. TWO Year home warranty for the right buyers. 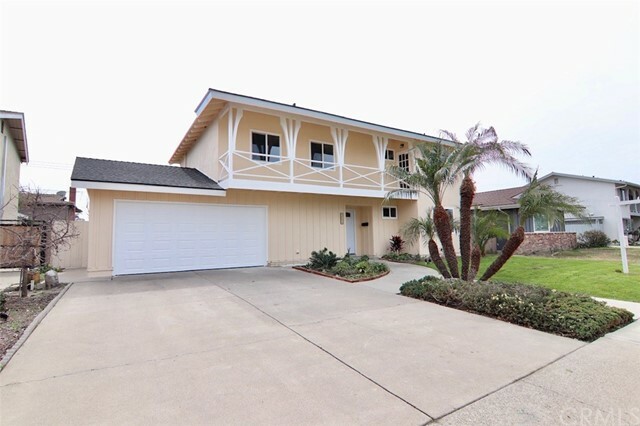 Located near award"
"This beautiful home is located on a Cul De Sac in the Heart of Cypress! The curb appeal is so great your Clients will fall in love as soon as they arrive. 3 Bedrooms include a Master suite with large closets, dressing area and bath with large shower. Originally there was a 4th bedroom downstairs that has been changed to a Family room with wall unit. The 3 Baths include a full bath downstairs. There is a formal dining room and casual dining off the kitchen. 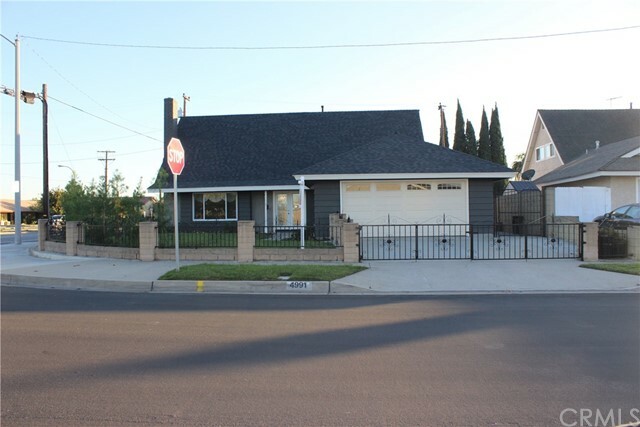 Upgrades include: Kitchen with oak cabi"
"Fully remodeled Brentwood home ready for a new family! 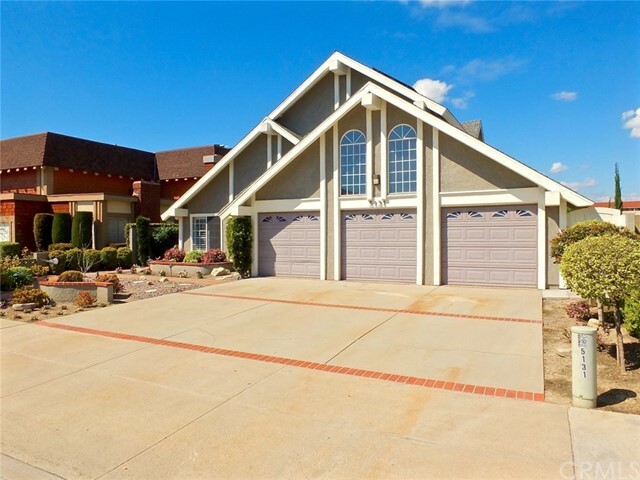 This home is located on a quiet cul-de-sac, with a wide driveway for cars and RV. 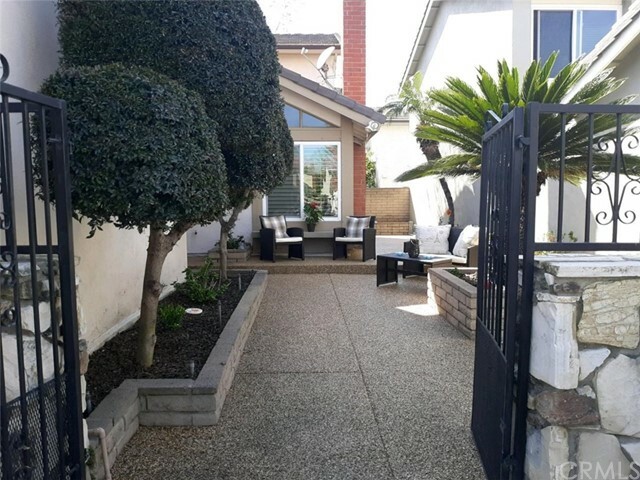 The backyard has a large covered patio, a barbecue area off to the side which leaves plenty of open space, artificial turf installed, drought-tolerant plants and a mature avocado tree. 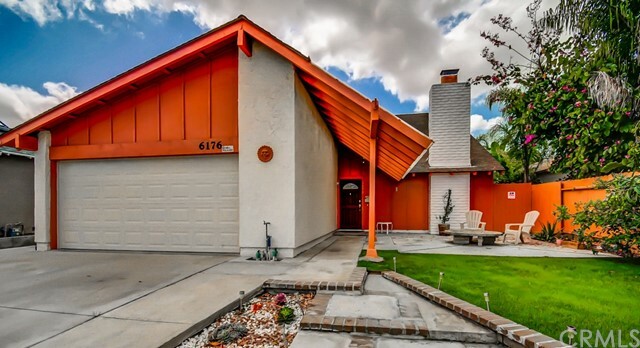 This is not your traditional tract home. 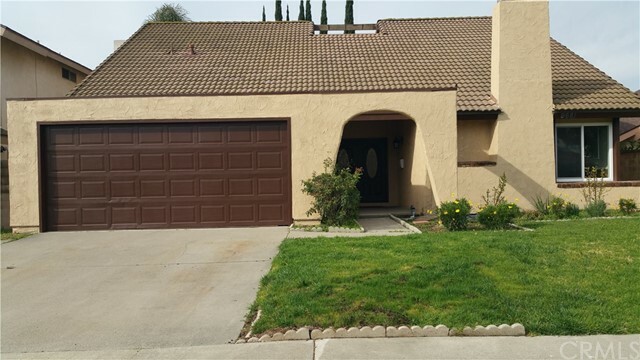 This home has plenty of great features such as an open concept kitchen with granite countertops, large pantry, stainless steel appliances"
"WELCOME HOME!!! Enter through the gates to a Pebble tec. surfaced courtyard and patio. 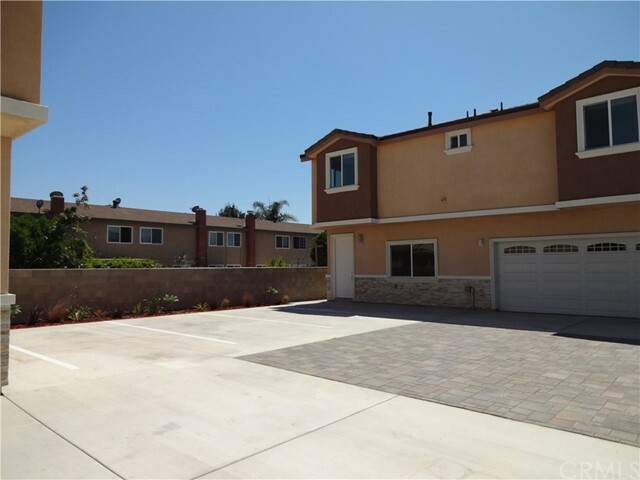 Through the doors you will find a very open floor plan with upgraded laminate flooring. The main living area has a beautiful rock fireplace. The open floor plan leads into a very large dining area with a slider that opens to the patio for those summer BBQ's. Now let me tell you about the Kitchen white cabinetry with new quartz counter tops and new stainless steel dishwasher, micro, and range. Off the kitchen i"
"This home is so Fantastic with wonderful upgrades! Just in time for Summer, this home features a gorgeous salt-water Pool and Spa! 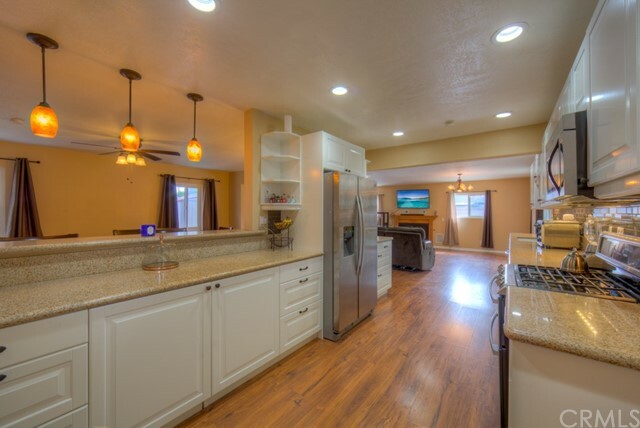 The remodeled kitchen will delight the Chef in the Family with a raised ceiling, recessed lighting, stainless steel appliances, designer white cabinets with pull out drawers and Granite counter tops. There is also a built in pantry in the dining room with custom made doors, a wet bar is built into part of the garage space, newer double pane windows, upgraded baths an"
"Great location: Across from Oak Knoll Park and the Cypress Parks & Recreation Center including Baseball and Soccer Play Fields surrounded with Open Space. 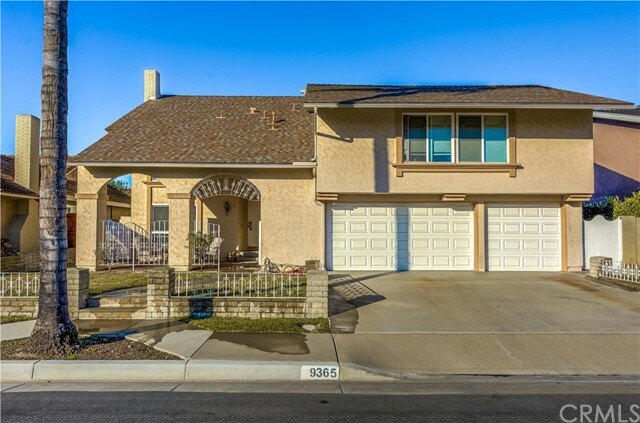 Short Walk to Highly Rated schools including: Oxford Academy, Cypress High School, Morris Elementary, and Cypress College. This Center of Cypress Two Story Home offers 1,836 Square Feet of Living Space. 3 Bedrooms and 2.5 Baths with 2 Bedrooms and a Full Bath on Main level. The Large Master Suite includes High Volume Ceilings, Walk-in Closet, "
"This 4 bedroom 2 bath Cypress pool home shows pride of ownership and excellent curb appeal. 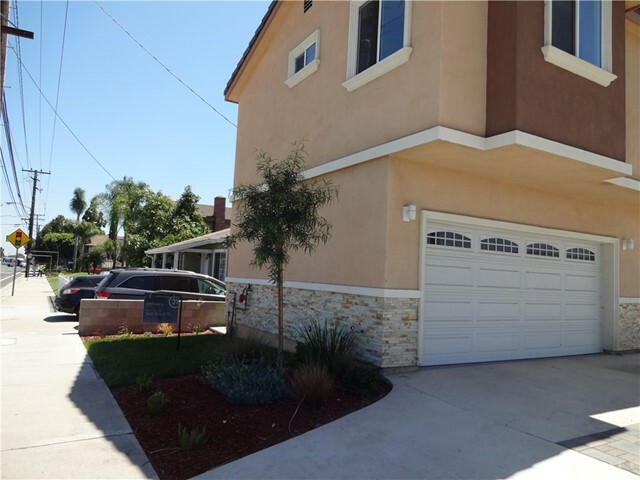 This house boosts a finish 2 car garage with lots of custom cabinets a pull-down attic and still room to park the cars, reverse osmosis water system and water softener, newer duel pane windows, scraped ceilings and laminate wood like flooring with large baseboards throughout. Living room with bay window, recessed lighting and crown modeling. Dining room with recessed lighting, ceiling fan, crown molding a"
"This charming Cypress home is very open and spacious with 1,553 square feet of living space. 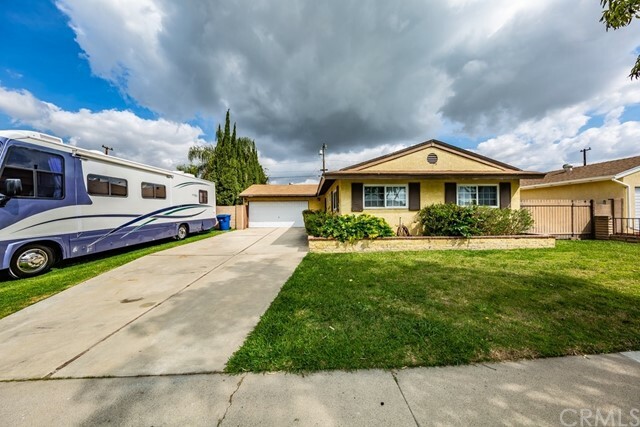 It features 3 bedrooms, 1.5 baths, newer cabinets, countertops, and flooring, recessed lighting, smooth ceilings, newer windows, central air, RV parking & hook ups, and a very long driveway with an attached garage! You'll love the open concept layout of this home. Plenty of room for hosting & entertaining! The possibilities are endless! Bring your tools and paint brushes ~ this is truly a great home or i"
"Welcome to This Gorgeous One Story Home, Open Floor Plan Complete Remodel and Gourmet Kitchen With Custom Cabinets with soft-close drawers, and Granite Stone Counter Tops with Full Stone Backsplash, Recessed Lighting, and Stainless Steel Appliances. Bedrooms Have Carpet & Fans. Privet Back Yard With Fire Pit & Hook up Gas for the B.B.Q. & spot lighting, Ready to Entertain. Double Pane Windows, Scraped Ceilings and Dual Central Air and Heating Systems. Direct Access to 2-Car Garage with Roll-up G"
"This is a 4 Br, (one is a Jack & Jill,could be 5) 3 Ba.,Den, 2 car Gar. It is in original condition and needs cosmetic work through out. It is being sold out of a Trust AS IS. no repairs or Termite work." "SEND YOUR KIDS TO TOP-RATED PUBLIC SCHOOLS! Top-rated Elementary(Juliet Morris), Middle (Lexington), and High Schools (Cypress and Oxford Academy(testing requirements)) Brand new laminate wood floors! Open floor plan, large family room, with huge backyard- all perfect for entertaining kids and adults alike! Accessory Dwelling Unit qualified up to 875 sqft! (Verify with City of Cypress for more information)"